Whether you’re searching for a reliable new car, truck or SUV, or you want certified service on your current vehicle, come visit us at Naples Chrysler Dodge Jeep RAM in Naples. As an all-purpose Naples, FL car dealership, we’re equipped to serve you throughout the life of your vehicle. Along with some of the most dependable vehicles on the market, we offer an exceptional loan and lease, as well as a world-class parts and service center. Drivers from Marco Island to Fort Myers, we invite all of Southwest Florida to visit Naples Chrysler Dodge Jeep RAM. Hoping to expand your work fleet? We also offer a large selection of industry-leading RAM commercial vehicles, including the 2018 RAM Chassis Cab, RAM ProMaster and more. Our certified sales staff is always on hand, waiting to help you find your next work truck or reliable family SUV. Stop by today and browse throughout our vast new car inventory at Naples Chrysler Dodge Jeep RAM – a Naples, FL car dealership serving Bonita Springs and Estero, FL. At Naples Chrysler Dodge Jeep RAM, our selection expands far beyond our brands’ new lineups. We also provide a revolving collection of dependable used cars, trucks and SUVs. To ease any concerns about buying used, take a look at our collection of Certified Pre-Owned vehicles. To earn the CPO badge, our vehicles go through a rigorous inspection and pass strict criteria determined by the manufacturer. When you leave our showroom, we want you to leave with a dependable car and some peace of mind. For an extensive collection of quality used cars, Naples, Marco Island and all of Collier County drivers can visit Naples Chrysler Dodge Jeep RAM. We want you to enjoy every moment in your new car, which is easiest to do when you receive a great payment plan. Whether you’re buying or leasing, the loan specialists at Naples Chrysler Dodge Jeep RAM will take you through a quick, transparent financing process. They’ll provide you with a host of available lease offers and loan options – including Chrysler Capital finance – and help you find the best possible option. You can get started right from home by filling out our online pre-approval application. While you’re on the Naples Chrysler Dodge Jeep RAM website, take time to view our current car lease offers, value your trade-in and use our online payment calculator. Find out why we’re among the most trusted Naples, FL car dealerships. Call or visit the Naples Chrysler Dodge Jeep RAM Finance Center today. At Naples Chrysler Dodge Jeep RAM, it’s our goal to gain customers for life. That’s why we offer a state-of-the-art service center serving all of Southwest Florida. Call or visit us for all your maintenance needs, from oil changes to major repairs. For Chrysler, Dodge, Jeep or RAM owners, it’s the best way to ensure your vehicle is repaired using genuine OEM parts. Don’t forget to check out our auto repair coupons to save on your service. Do-it-yourselfers can find authentic components as well by ordering from our extensive parts department. Looking for authentic Jeep parts and accessories or new wheels for your RAM?. Call or visit our website for everything from air filters to seat covers. Take advantage of customer service that continues through the life of your vehicle. 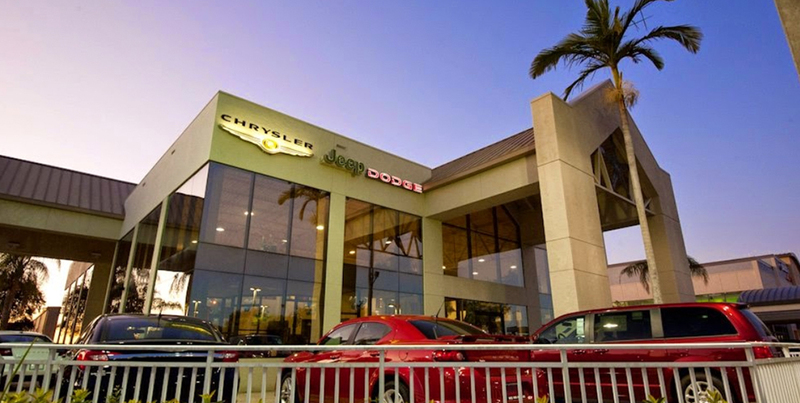 Visit Naples Chrysler Dodge Jeep RAM today, serving Fort Myers, Cape Coral and Bonita Springs.